So we’re only a couple of hours away from welcoming in 2013. I adore New Year’s Eve and last year we celebrated with a ripper party at our house that went till the wee hours of the morning. Friends brought kids and the sunroom area was awash with water from screaming tikes running wet from the pool through our midst. I’m sure I stayed up extra late, knowing that once I went to bed, it was all over. Smoking, that is. Yes, my resolution last year was to GIVE UP SMOKING. Most people who know me didn’t think I could. I’d tried many times before and when the last time didn’t work for me, I declared, ‘I’ve given up GIVING UP.’ MY theory was that there was no point. Smokers would always be smokers – that the urge would never leave them, or me. What mostly happened when I gave up is that I became shockingly cranky, stacked on weight and then ended up taking it up again six months later. So what was the point? I wasn’t what you’d call a chronic smoker. Mostly I didn’t have my first cigarette of the day till the afternoon. It was a ‘reward’ – a time for some ‘time out’ with a coffee after a hard morning’s work. Even if I hadn’t worked hard. And while I might only have smoked half a dozen cigarettes a day, smoking with friends while drinking, meant the number would increase rapidly. It was a treat – an indulgence. 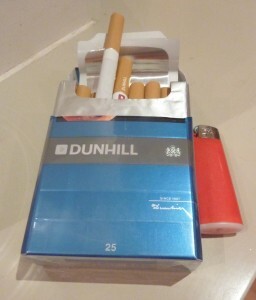 I’d smoked regularly since I was eighteen, although had choked on my first cigarette at around fifteen. 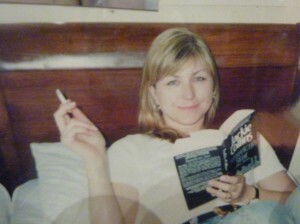 Then most of the men I dated smoked too, so it was easy to keep puffing away. Here’s a trashy picture – at 26, in Italy with Fletch, caught reading Jackie Collins while puffing away in bed. Ewww… but sheez, I loved it. Then there were the parties, and yes, I’m sure I thought I was glamorous, not knowing how much other people recoiled from my stench. 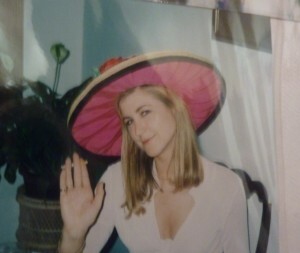 Did I really think that hat worked? And the cigarette? But I didn’t give up ‘that’ tomorrow all those years ago. And I was nagged and hounded by the kids ever since to give up. Fletch had also struggled with giving up smoking and gave up a few months before me, around October 2011. I hated him because he even made it look easy. But he did use nicotine patches. I promised back then I’d give up after the races, which then turned in to New Year’s Eve. (1) Buy this book or the CD version. 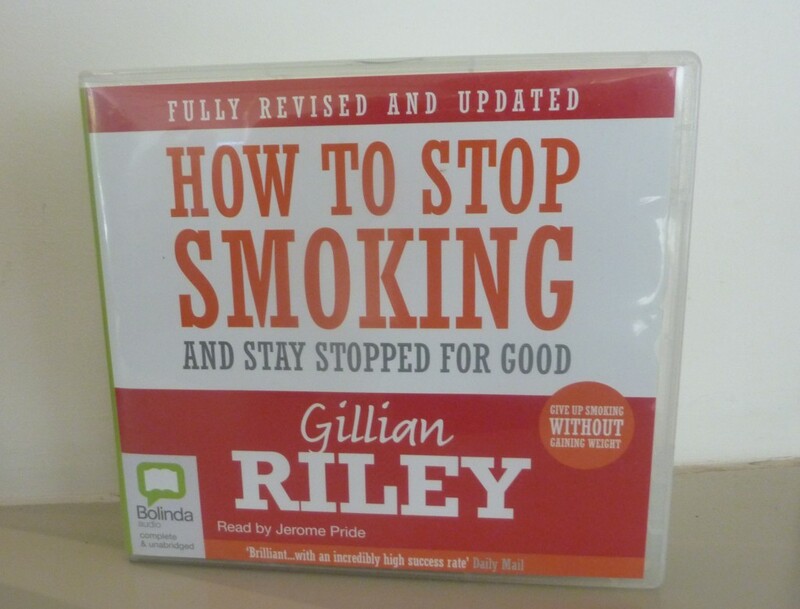 It’s called How To Stop Smoking (and stay stopped for good) by Gillian Riley. I’m not a huge fan of self-help books and usually find them dull, so I bought the CD version and listened to it in the car. I’ve read several books about giving up smoking (including Allan Carr’s) and I think this is the best. It has the most practical approach and it’s not a gimmick. It doesn’t try to fool you into believing there’s one ‘easy’ quick solution. It spells out that you ARE going to find it hard, but tough luck – live through it and endure it, because that’s the only way to beat it. But it does also have some very valuable advice and ideas about how to deal with an addiction. It takes a deeper psychological approach which makes a lot more sense to me, than any form of hypnotherapy or tablet taking. The best tip from the book is to make a list of all the reasons you are giving up. 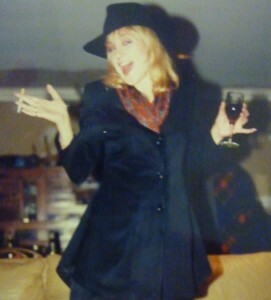 Then, Gillian says you must always give yourself permission to smoke. But before you actually do, you must read your list and accept you are giving up ALL those incredibly important things – before you light up. That makes it much tougher. (2) Buy some electronic cigarettes – not with nicotine filters. 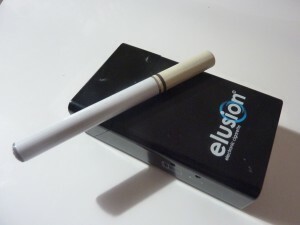 I bought the Elusion brand, and while I don’t advocate using these all the time, as that reinforces the notion that smoking IS fun, it’s a good prop when you feel you’re about to break and reach for a cigarette. Basically, you inhale vapour which fulfils that need for something to fill your lungs – even though it’s not nearly as satisfying as the ‘real thing’. (3) Keep plenty of sugar-free chewing gum on hand. It gives your mouth something to do without absorbing mega-calories. (5) Make a list of the reasons you are giving up (as suggested by Gillian) and review it regularly. Positive reinforcement is a great motivator. 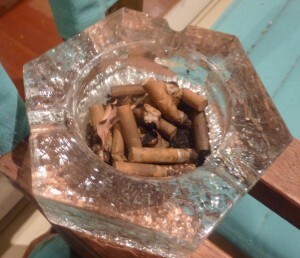 (6) Remember that if you light up, that cigarette will be the first of hundreds more. It won’t just be ONE. (7) If you DO break your resolution to give up because of an emotional upset or peer group pressure, or the lessening of will-power under the influence of alcohol – don’t beat yourself up, but get back on the ‘giving up’ band wagon straight away. And yes, I have broken my resolution several times during the year – but not often, so overall I’m pretty proud to say that I HAVE given up smoking. But this year, one of my resolutions will be to re-affirm my GIVING UP SMOKING vow and to listen again to my Gillian Riley CDs. I hope I can get through 2013 without breaking once. And let’s face it, isn’t it great not to have to wake up to THIS the next morning? Happy New Year and my 2013 bring all of you strength with your resolutions and many wonderful surprises!